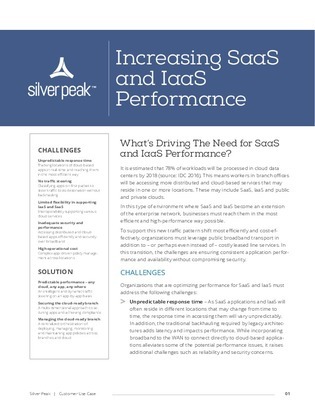 What's driving the need for SaaS and IaaS performance? According to IDC, about 78% of workloads will be processed in cloud data centers by 2018. To learn more, read this white paper which addresses the requirements to secure and manage a cloud-ready branch. Then find out how to overcome those challenges to help increase SaaS and IaaS performance.